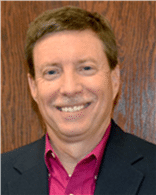 FRSCPA, PLLC is pleased to announce the addition of Jimmy Cholerton to their team of business advisors. Jimmy will start with FRSCPA January 3, 2019, as the Director of Franchise Consulting and will be working with McDonald’s owner/operators to provide sound advice about their financial health and overall economic position to assist them in planning for their future as franchisees. Jimmy’s past experience as the Finance Director of the Raleigh and Baltimore/Washington Regions while working for McDonald’s Corporation adds additional depth of strategic proportion to the firm which will further expand the scope of firm services to its existing and future clients. With a rich history of 37 years in the McDonald’s system, Jimmy began his career as a crew member while he also attended NC State University in Raleigh, North Carolina. After completing his Accounting degree, Jimmy advanced his way from restaurant operations into the corporate world of accounting where he served in various supervisory roles, a Financial Analyst position, Regional Controller, and advancing into his final role for the company as the Finance Director, where he led executive leadership teams to support national strategic plan initiatives for two regions. “I’ve had the pleasure of working with FRS since the 90’s, so this should be a relatively simple transition. I am eager to serve the owner/operator community from a consultative position and help them map the right financial plans for their success,” Cholerton said. Jimmy will be based out of the firm’s Durham office, working with Joan Gibbons, CPA and her team, as well as the corporate office in St. Petersburg, Florida. “Our entire team is very excited to have Jimmy on board and we’re looking forward to 2019 and beyond,” says Gibbons, a shareholder of FRSCPA since 2013. Jimmy has also made an impact as a long-term board member and Treasurer of the Ronald McDonald House Charities of North Carolina. “I’ve had the pleasure of working with Jimmy on the audit for RMHC of North Carolina for the past several years. He’ll be a great advocate for our clients and we felt this was an opportunity where we could leverage Jimmy’s expertise and add additional value to our client relationships,” says Managing Partner, Paul Horowitz, CPA, MBA of FRSCPA, PLLC. About FRSCPA, PLLC FRSCPA, PLLC is a full-service professional services firm dedicated to creating value through relationships with their clients by providing the highest quality accounting, assurance, tax, and management consulting services since 1984. FRSCPA, PLLC serves clients in the southeast US with 5 partners and offices in Tampa Bay and Durham, North Carolina. For more information, please visit: www.frscpa.com.